The Air Whip is the best performing, longest lasting, easiest to install and least expensive airband antenna you'll ever buy. It's a full half wave, groundplane free design that installs inside the nose or other surface of your aircraft. The pre-tuned, groundplane free design guarantees you superb performance. Smoothie is quite simply the best noise filter / power conditioner you can buy. It eliminates virtually 100% of the noise from your aircraft electrical power system, and provides complete protection from voltage variations and spikes. Almost every aircraft from ultralights to certified have electrical noise issues. The surprise is that most have many, and they can cause big problems. Take a look at Smoothie, and how it can solve those noisy electrical system problems once and for all. Power borne noise interferes with radio communications, pollutes intercoms and audio systems, and scrambles and / or damages expensive gear. Enter Smoothie, the brickwall noise filter. Smoothie stops all the noise, all the spikes and all the voltage variations, stone cold dead. Hook it up, set your voltage and you've got pure, clean, totally noise free power for all your sensitive applications - intercom, radio, music - and brickwall protection for expensive (and often power touchy) digital gear. Noisy, polluted power is common and guarantees unreliable comms and damaged gear. Build in Smoothie from the beginning or retrofit Smoothie now, and fly noise free for good! *Note: Smoothie is a sophisticated noise filter and secondary voltage regulator - it does not replace the primary regulator used to power mechanical systems and charge the aircraft battery. 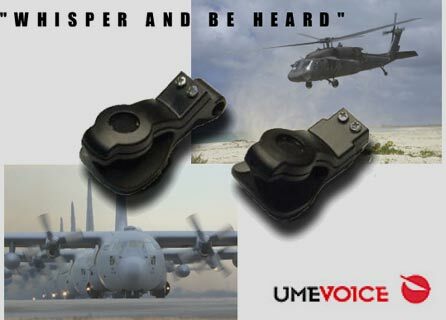 UmeVoice Inc has developed a noise cancelling technology that makes its aviation headsets and microphones the best means of communication for pilots and crew. theCobra™ aviation microphone accentuates the speaker’s voice by allowing sound to enter directly into the front port of a two port microphone, while deflecting the back ground noise from the back port. ”theCobra drastically reduces background noise on any airplane and fosters clear communication between the pilots and their control tower. 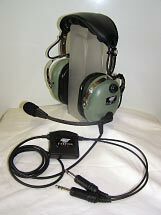 The aviation headset has an average 10 dB improvement over the current M-87 noise cancelling microphone with a maximum of 30 dB improvement in average speech bandwidth”. theBoom® technology’s intelligibility score is 82% in 105 Db level of noise. In contrast, the M-87 noise cancelling microphone scores only 72% under same noise conditions. theCobra™ is extremely lightweight and can be installed in any aviation headset with ease. - The microphone element can be either elecret or dynamic (5 ohms/150 ohms), with or without amplifier. - The microphone interface can be either plug-in or swivel type. Suited for use in car racing, any aviation and many military applications. theCobra's™ noise rejection performance surpasses all passive or active micro-phonic systems including 2-port, 2-active and array microphone designs. The difference is particularly stark in high noise levels. By reshaping the aperture (hole) in which a two-port microphone is housed, we have created a technology that prevents the input of noise from a user's environment. Background noise hits both the front and the back ports in phase, thereby canceling itself out. The speaker's voice however, is concentrated on the front port and deflected from the back port. This enables the microphone to transmit a strong speech signal, devoid of background noise. The result is a dramatic enhancement in clarity that performs even in 115 decibels (imagine the noise level at an arena rock concert). No processor required, so low power requirements. Active noise cancelling technology relies on creating an anti-noise signal to cancel out the noise in a signal. Since there is inherent overlap in frequencies between speech and noise, this results in speech signals often being identified as noise and vice versa. An observable consequence of this is distorted or garbled speech, and unsatisfactory noise cancellation. It Also requires a power supply (typically, additional battery). Other electronic noise cancelling techniques use algorithms to identify noise from a digital signal and to filter it out using digital filters. These techniques are also frequency dependant, which results in the same problems mentioned above. theCobra microphone can be either elecret or dynamic (5 ohms/150 ohms). And both options can be with or without amplifier. The EQ1 is a full duplex digital wireless system designed from the ground up using over 20 years military RF design technology experience. The EQ-Link / EQ1 headset combination can be used in conjunction with up to 4 other EG-Link / EQ1 Headset combinations in the one aircraft. High quality microphone using digital processing to reduce background noise. Unique 'Clean Cockpit' processes unwanted cockpit nose from the microphone. Incorporates 4 microphones and uses active noise reduction (ANR) technology for extreme noise aircraft. Complete wiring loom supplied with various plug in options to suit various interface requirements 1.e. ; handheld radios. Voice is digitized and compressed before being sent across the RF interface. The system uses TDMA protocol like GSM phones to achieve multi-channel full duplex operation. The Base unit (small lightweight unit 125mm x 80mm x 23mm) receives and transmits information to headsets, this is the heart of the system and can be located anywhere out of sight attached with Velcro. The system also has full voice synthesis capability and can 'speak' many different messages and control information; all configurations are done this way (voice prompting). This can be expandable to a choice of languages. Advanced features include, multiple wireless PTT adaptor and automatic audio routing for various situations, i.e. passenger mic lock outs, MP3 input muting etc. 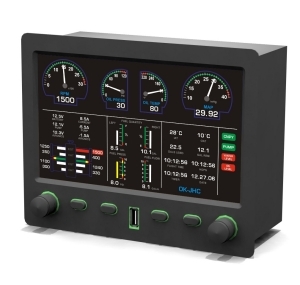 The external base interface (audio) is full programmable as far as level goes and can hence interface into multiple systems, it also has some expansion and control capability (RS232 and switching). including interface for SkyDat glass cockpit instrumentation for audio warnings on engine parameters being exceeded. Long life (23hr) NiMh rechargeable battery including voice announced capacity and several low battery warnings. Auto off function-- headsets will turn off automatically after end of flight. Can be charged from the aircraft with auto off when charged. Wall charger will charge to full then trickle charge indefinitely- this means never having a flat battery after a long break from flying. and Passive Noise Reduction (PNR). All Falcon headsets have a 12 month warranty, a further 2 year warranty may be purchased additionally which extends the warranty to a full 3 years. New development EFIS (Electronic Flight Information System) and EMS (Engine Management System). Cutting edge technology now available at a realistic price, new build or retrofit, these new products are just the ticket for your new project. TL Elektronics manufactures a fantastic range of instruments to enable panels to suit any application. From the most basic flight panel to a full blown glass cockpit that would rival a Boeing 777 or F-16 fighter. "You name it…..TL Elektronics has it!!" Critical Angle Ltd has teamed up with Olsen Audio Group – USA to bring you a windsock superior to just about anything on the market. The Windtech Windscreen is superior to virtually any aviation windsock on the market. 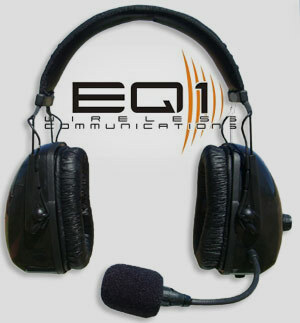 ￼ Since 1976 WindTech has manufactured the highest quality American made microphone windscreens on the market. They are available in 25 brilliant colors, and a wide variety of shapes and sizes to fit most popular microphones. Using a proprietary non-heat manufacturing process, Windtech windscreens are constructed from a specially developed hypo-allergenic, open-cell acoustical foam called SonicFoam.The use of SonicFoam permits the free passage of sound energy without altering the microphone's frequency response. While remaining acoustically transparent, Windtech windscreens are engineered to reduce wind velocity which eliminates wind noise, pop noises and breath sounds. For anyone who wants to keep their investment secure, nothing protects an expensive microphone from dust, dampness and physical damage like an external windscreen. Windtech were the first in the business and have been perfecting their products for over two decades. 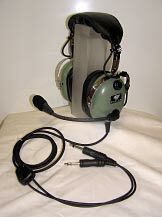 Available to suit most aviation microphones. Let us know the dimensions and we will find one to suit. An aviation helmet to suit almost every application. After years of research and development we are able to bring you an aviation helmet designed by pilots for pilots. Our new design incorporates the best of materials, communications, hearing and head protection available whilst still providing a light, compact, useable product. This is not a modified military helmet, nor is it a butchered skydive or motorsport helmet. CamGuard is an additive package formulated to address the complex and interrelated problems of corrosion, wear, deposits and seal degradation in piston engines. It is compatible with and designed to improve the performance of all oils including mineral based, semi-synthetic and fully synthetic types. CamGuard is especially useful for infrequently used engines including aircraft, marine, motorcycles, emergency equipment, backup generators, classic and antique vehicles, agricultural and all seasonal equipment. CamGuard contains 11 multifunctional components. Each of these components has a primary function and at least one secondary function. This is how CamGuard achieves superior performance with the addition of only 5 volume percent. Corrosion is the destructive attack of a metal by chemical reaction with its environment. Rusting applies to the corrosion of iron or iron based alloys such as steel. In engines, corrosion manifests itself by causing material loss, surface property changes (pitting) and dimensional changes, dramatically increasing wear rates on critical steel components such as camshaft lobes, tappet surfaces and cylinder walls. It is this effect recognized by a major engine component reconditioner that led to the development of CamGuard. Corrosion attacks of non-ferrous metals can damage bearings and bushings, degrade the efficiency of oil coolers and weaken structural components. Wear is the gradual removal of material from one or both pieces of two materials that are in contact and moving relative to one another. Engines have many parts found under such conditions including the interfaces of cam lobes and lifters, cylinders and piston rings and gears. Wear rates are determined by load pressures, relative speed, materials, surface properties and the lubricant. The existence of corrosion on the rubbing surfaces dramatically increase wear rates as the corrosion products are easily removed and often abrasive. Deposits that limit or prevent the normal movement of components will also increase wear rates dramatically. Deposits are buildup of carbonaceous materials caused by oxidized fuel and lube products sticking to various engine components. Reactive deposit precursors attach to metal surfaces and are then baked in place. The oil additives must prevent oxidation and disperse the reactive precursors for the life of the oil. If they don't, deposits can form, for example, on pistons causing rings to stick. Sticking rings rapidly increases wear and may cause the need for a premature top overhaul. Increasing both antioxidancy and dispersancy capabilities of the oil help minimize deposit buildup as well as mitigate existing deposit problems. Seals are synthetic rubber like materials that allow mechanical motion to occur outside the engine while keeping the oil inside the engine. They seal the crankshaft while allowing it to turn both inside and outside the engine and their use allows access to many parts of the engine including valve covers and push rods. Over time and exposure to hot oil, seals may shrink and harden or they may soften and crumble. Neither is a pleasant prospect. The ability to protect from both scenarios can help minimize messy engine compartments and the need to replace seals before TBO.